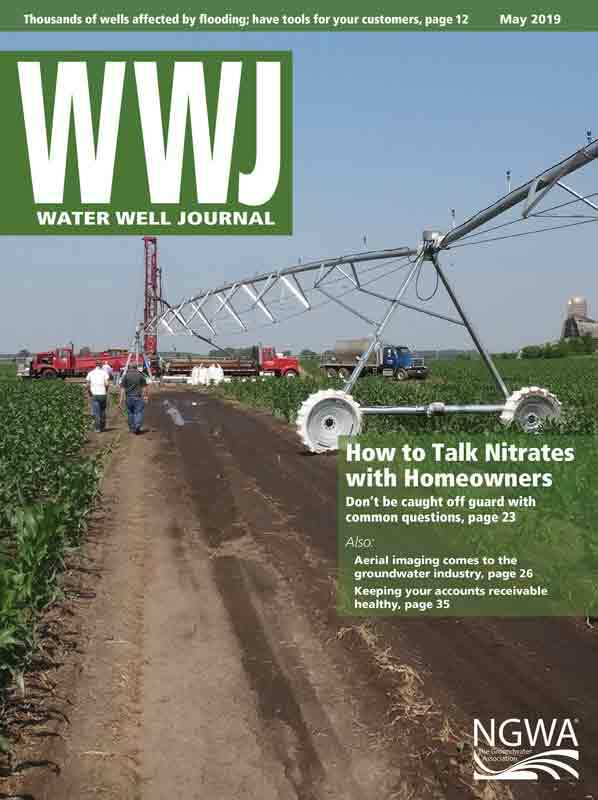 When wellhead protection is overlooked, all sorts of things can end up in wells. I’ve maintained diaries of my daily activities since June 1, 1974, my first day of full-time pump work. Thus, I can relate several jobsite incidents down to the customer’s name and the day they happened. With that, and proper warning to the squeamish in the reading group, in this edition of Engineering Your Business I want to discuss the somewhat indelicate topic not for the faint of heart or stomach: Some of the things we find and retrieve from water wells. Back in the 1970s, the diligence of capping and protecting unused water wells was not as strong or potentially legally liable as it is today. In fact, if I had to guess, I would likely underestimate the number of times I was assigned to a project to test a well or install a pump into an existing well without any tacked or fully welded lid on the top. Many of these wells were old irrigation wells situated in the middle or edge of fields in which the well pump may have been once removed to relocate to another field, may have failed, been pulled and never replaced, or may have been a pump in a well on land the farmer had been leasing and didn’t wish to lose the pump. In any event, many of these well pumps were vertical turbine pumps in which the discharge head not only suspended and supported the bowl and column assembly but served to provide closure to the top of the well by resting on a concrete slab, or submersible pumps where the well seal or plate was needed to suspend the pump in the next well. Thus, many of these formerly used wells were left without any wellhead protection whatsoever. When a cover was placed over the top of the now unused well, more often than not, it was a 5-gallon bucket placed upside down over or shoved into the bare casing—not an effective method of sanitary protection! In those days many people, even some of those in our own industry, either thought they would return to weld a cap onto the top of the casing someday or did not fully consider the implications of improper wellhead protection and the potential of future well and aquifer contamination. Although these events disturbed me greatly, they now provide me with numerous examples of the kinds of items—inanimate, living, and dead—we find in wells. The first I want to share occurred on September 7, 1978. A coworker and I were assigned to perform a pump installation in Aurora, Oregon, for a filbert (i.e., “hazelnut”) producer. The well was an old 1950s-vintage 10-inch-diameter well located on the edge of the orchard, and once we arrived at the site, it was apparent that the well had no cover on the top of it. Not really considering the implications, we proceeded to install the new submersible well pump to the final depth of 126 feet. Upon encountering the static water level interface at around 50 feet, I noticed the pump was not moving farther down the well from its own weight—in fact, it somewhat bobbed at this level. Following a few attempts to lower the pump around what I thought was a casing obstruction, I decided the pump would not go any deeper until we figured out and corrected the problem. Upon pulling the few lengths of pipe that had already been installed and eyeing the pump, I noticed several strands of sticky hair had stuck into the suction screen and on the motor. It was quickly obvious what had happened: some type of animal had fallen down the well and drowned. allowed the line to go slack in the hopes the bailer would get under the animal enough to remove it from the well. Unfortunately, after three attempts, it was apparent this method would not work since the animal was sufficiently blocking any further downhole travel of the sand pump. Upon a return to our shop and brief consultation with a few of the wiser veteran pumpmen, we decided to try a wall hook as the next step. Since we did not already have a wall hook built to fit the well diameter (and critter dimensions), we improvised and shop-built a 4-inch-diameter steel wall hook with six short spars at roughly 60° spacing made from a one-half-inch rebar so that at least two to three of the hooks would grab onto (or into) the animal and support retrieval while pulling from the well without the critter falling off the tool. This time, in order to have a better feel and control over the procedure, we used the pump’s 3-inch drop pipe to lower the hook in the well. Since the wall hook’s size was smaller than either the well pump or sand-pump diameter, I was able to pass the assembly past the animal and attach to it with some certainty. Once I knew we had ahold of the critter, we proceeded to slowly pull the drop pipe from the well with obvious resistance. Once the assembly reached the top of the well, it became obvious what had happened: a raccoon had become too interested in the opening and fallen down the well to meet his maker. I won’t even try to recount the stench that permeated the air from our newfound friend. Suffice it to say, it took three more days of well cleaning, repeated chlorination, and well pumping before we were satisfied we had removed all traces of the unlucky critter. The next event is not quite as dramatic as the first and has a far better outcome, but it still underscores the need to cover all wells at all times. This particular incident occurred on April 19, 1994, when a pump crew I was supervising called me on our company’s two-way radio to inform me they had a problem and wanted me to come to the site. I didn’t understand what problem they could have as the well they were working on was a simple pump replacement on a shallow irrigation well (again) that was used for pond filling. Once I arrived on site, I noticed a family of ducks floating on the pond and didn’t think anything about it. But the lead man on the job quickly informed me that after successfully pulling the old well pump, they had stopped for lunch before installing the new pump—and they had not covered the well during their lunch break. By now, you have guessed the rest. One of the more inquisitive little guys had waddled over to the well to see what the commotion was all about and had fallen down the well. As I approached the well, I could hear quacking rising from the well. Fortunately for the duckling (and my crew), the static water level was only 5 feet below the top of the well, so after a few tries we were able to fish out the little guy using a small coffee cup attached to a string. Except for the tongue-lashing I gave the crew for not covering the well during their lunch, it was a good outcome. Trees Can Grow in Wells? This topic would not be complete for me unless I related this last event. It happened in November 1979. A long-term coworker and friend, Donald “Butch” Williams, and I were assigned to pull and replace a 20-year-old small 2 HP domestic well pump for a longtime customer. We arrived on site, set up the pump hoist, and everything was routine until I hooked onto the tee at the top of the well seal and pulled the lever to raise the pump. The hoist instantly groaned, the hydraulic pressure limited out, outriggers settled into the soft earth, and the mast leaned back—far more than it should have trying to pull a 2 HP pump set at 200 feet. Now remember this is in Oregon; very few wells in our region, including this one, were equipped with pitless adapters. In fact, this pump sat on an ordinary well seal; therefore, a jammed pitless could not have been the cause. lined” the machine to provide greater pulling power. Once we double-lined the hoist and repositioned the outrigger pads, I proceeded to try again to raise the pump. Once again, the hoist groaned and the hydraulic pressure surged, but this time, the pump began to rise from the well seal, albeit in jerks and unsteady action. Once the seal was clear from the well, I used a flashlight to peer down the well casing to see if I could observe any obvious impediment. All I saw was blackness; the static water level was even beyond my view. Not knowing any better, Butch and I went ahead and disconnected the top pipe, removed the well seal, and resumed pulling the pump. As we continued to raise the drop pipe and wire, I was continually amazed at how much resistance this small house pump set on 1¼-inch pipe was offering. The process was constantly causing the mast to shudder and repeatedly driving the hydraulic pressure close to the limit. We removed the first three lengths without any more fanfare, but with the same kind of resistance throughout. As we approached having 70 feet pulled from the well, Butch began to see what appeared to be tree limbs wrapped around the drop pipe. Once 84 feet had cleared the well, both of us stood in incredulous silence as the amount of this organic material became worse and worse until the material was completely enveloping the drop pipe and wire and perfectly formed to the 6-inch well diameter. This was something I had never seen before—or since, for that matter. All of these intertwined, different sized, and sticky hard limbs and branches had been growing underwater for 20 years around the drop pipe and finally compressed itself onto the sides of the well! Needless to say, as we removed more of this gelatinous stuff, the pipe began to pull easier and offered less resistance to the hoist. Once the dust had settled and the entire installation was out, we determined that 60 feet of this had grown around the drop pipe and wire to form a concentric shape that precisely fit the interior diameter of the well. To this day, I truly regret we had no camera with us and didn’t even think of having one brought out to us to take a picture. The homeowner, who witnessed the entire procedure, was as amazed as we were. But his wife became moderately ill when she began thinking she had been drinking this water for more than 20 years! Except for the super dose of chlorine, the remaining reinstallation was largely uneventful as the new pump and pipe sailed down the well without the well offering any undue resistance. I have witnessed many other creepy, crawly critters and other okay and not so okay material lying in the bottom of and on the sides of several wells, mostly seen by downhole video inspection. Nothing, though, will ever top that one day in November 1979. More than once, we have had to fish out items such as knives, broken air lines, lineshaft, sub cable, frogs, salamanders, mice, broken pumps, and even some pumps with the motor still attached. And that is all in addition to the material that belongs there. 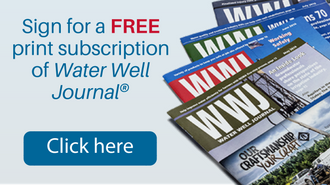 It just goes to prove there are all sorts of things we can find in uncapped wells—and the critical importance of proper wellhead protection. Send me your own experiences for a future column. Until next month, work safe and smart. 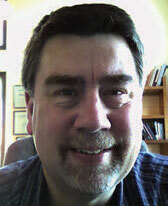 Ed Butts, PE, is the chief engineer at 4B Engineering & Consulting, Salem, Oregon. 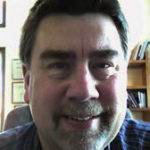 He has more than 40 years of experience in the water well business, specializing in engineering and business management. He can be reached at epbpe@juno.com.